Inspire the next generation of environmental stewards by transforming your schoolyard into an outdoor classroom. 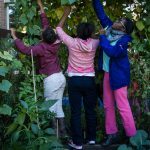 Green City Growers (GCG) provides hands-on, interdisciplinary garden programs that incorporate science, language arts, art, math, social studies, and social emotional learning. Students become invested in crops they grow from seed with their own hands. 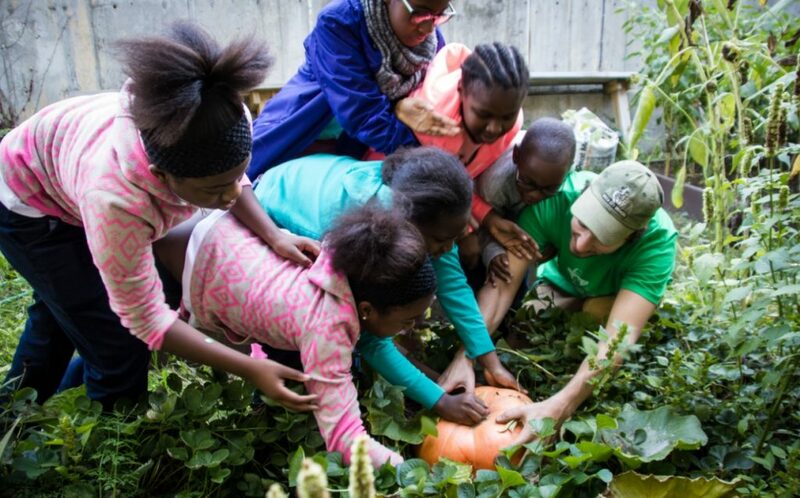 Garden classes increase the amount and variety of produce consumed by children and give them opportunities to apply concepts learned in class to the act of growing food. Students build confidence through connecting with nature and the satisfaction of accomplishing tasks as a team. The needs and desires of each school and class are different, therefore no two GCG programs are the same. Programs fit your school’s schedule and student age groups. Container garden options include raised beds, milk crate systems, and galvanized metal troughs. We install beds with organic soil, trellises, cold frames for season extension, and pest fencing. Indoor systems allow growing to continue in the classroom in winter. GCG farmers are horticulture experts and passionate educators who teach in a relatable way, meeting each diverse learner where they are. 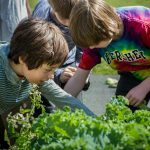 Students learn best practices to grow crops and gain an understanding of what healthy eating really means. Lessons are aligned with the Next Generation Science Standards. Maintenance services ensure a bountiful yield throughout the growing season. Our drip irrigation systems keep beds consistently watered at the right amount. We provide maintenance in the “off weeks” between educational sessions and in the summer months when school is not in session. Example: A session in early September. Students participate in a scavenger hunt to get to know the garden on their own. Together, the whole class considers: What do growing plants need and how do the structures in the garden help meet their needs? The farmer then assigns garden tasks to the teams. Before students get to work, the farmer models what to do. For example: How do you thin carrots to encourage large, healthy carrots to develop? Produce may be used in the classroom, school cafeteria, or donated to local food rescue partners to be distributed to people in need. Play-based: Students explore the garden through sensory observations, garden art, movement music, and joyfully work together on garden jobs. Students are supported to ask questions about what they observe in the garden and explore possible answers. 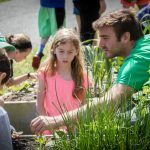 Experience-based: Student interest and what is happening in the garden drive teachable moments in class. Students develop scientific inquiry skills as they investigate systems in the garden and connect with nature through observation and art. Students build team skills during garden tasks. Project-based: Youth programs are hands-on and garden based, but also focus on project conceptualization and implementation. Projects arise from issues and solutions proposed by the group. 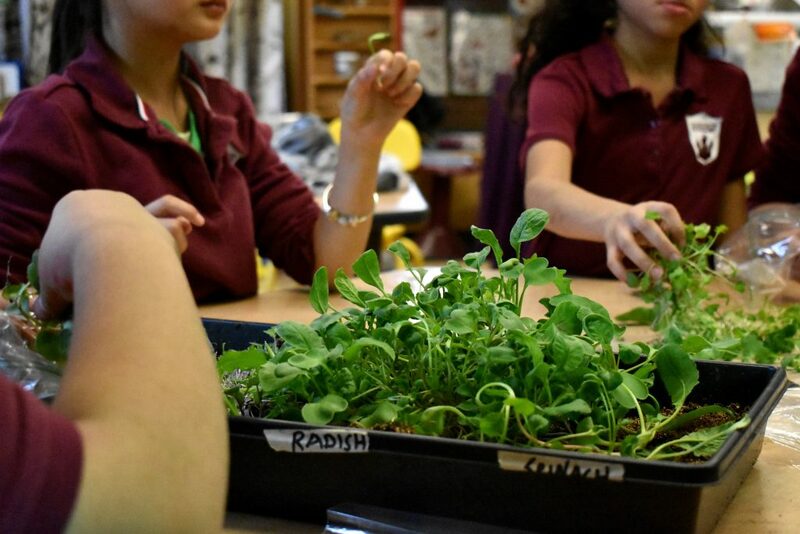 Students are challenged to think critically about environmental food issues, nutrition, and their own actions and capacity to make positive change. Direct connection with hunger relief organizations and culinary development.